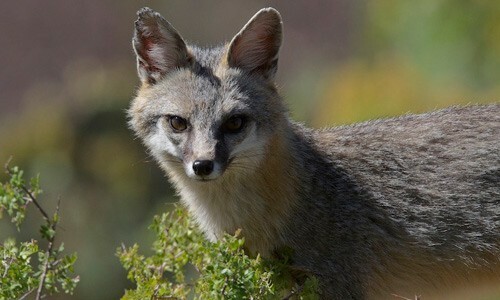 Lives mostly in forested and mountainous areas but may also be found around swamps and farmland. Recorded mostly in the northern and western portions of the Chesapeake Bay watershed, but likely ranges into other areas. Each individual has a home range extending 5 to 50 square miles, depending on how much food is available. Very territorial, they mark home ranges with urine and feces. A female’s home range rarely overlaps with other females’ home ranges, while a male’s territory may overlap with other females’ ranges. The bobcat is a wild cat that is brownish with dark spots and stripes. It lives mostly in forested and mountainous areas throughout the Chesapeake Bay watershed. Bobcats have mottled reddish- or grayish-brown fur with dark spots and stripes. 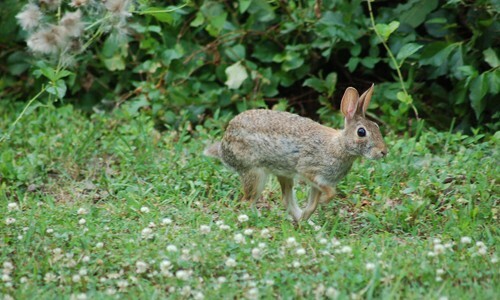 They have short tufts on their ears and ruffs of hair that look like sideburns on the sides of their head. Their short tails are five to six inches in length and end in a black tip. Bobcats grow 25 to 40 inches in length and weigh 25 to 35 pounds. A bobcat will eat nearly any bird, mammal, reptile or other small animal available. 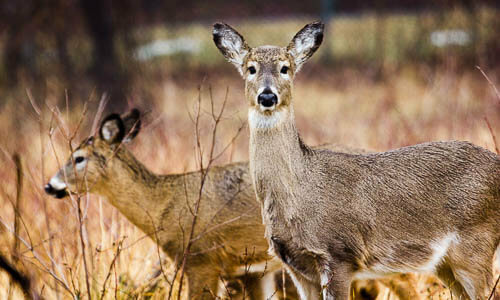 Mice, hares, rabbits, squirrels, raccoons and small white-tailed deer are all common prey. It uses its excellent hearing and vision to hunt during dusk and after nightfall. Foxes, coyotes and large owls prey upon bobcat kittens. Humans are the only major threat to adult bobcats. Bobcats rarely meow like domestic cats, but chortle and emit birdlike chirps. During mating season, their vocalizations resemble that of a screaming domestic alley cat. Mating usually occurs between January and March. This is the only time males and females interact; after mating, they return to their separate territories. About 65 days after mating, females give birth to a litter of two to six kittens that she usually cares for by herself in a secluded den. Kittens venture from the den after about five weeks. By nine months old, kittens begin to establish their own territories, although they may remain near their mother until the following spring. Females reach sexual maturity after one year, while males mature after two years. Bobcats can live as long as 15 years in the wild. The bobcat is also known as a red lynx or bay lynx. It gets its name from its short, bobbed tail. Bobcats are the most widely distributed native cat in North America. Bobcats are very solitary and avoid highly developed areas or areas with dense human populations. They are also mostly nocturnal and remain hidden during the day.